I had been only vaguely aware of Day of DH until then, but since I do whatever Adeline says, I went and checked it out and signed up. I read Adeline’s post about Day of DH, in which she relates a Twitter chat between her, me, and Rosemary Feal in which we talked about, as she put it, “What principle are you?” (e.g. Shirky Principle, after Clay Shirky). She suggested it would be some kind of “uncertainty principle” (alluding to Heisenberg Uncertainty Principle from physics, I think), and I added that, thinking of Keats’ “negative capability”, we might propose a Koh Certainty Principle, meaning confidence through accepting doubt. Ok, this is some serious nerd backchannel, but good academic fun, and a moment where I stopped and thought, how remarkable it is that networks exist, and that I have constant and rich interactions with so many scholars and creators of all kinds, few of whom I’ve ever met in person or perhaps ever will. Later I read all the prior registrants’ submissions in answer to “What is Digital Humanities”, which was quite entertaining, nice example of the diversity and wit and intelligence of this community. Today was an unusual work-from-home day, consisting of several conference calls and various emails / docs / Web research on assorted projects for my job at HighWire Press, Stanford. I am product manager for “emerging content”, which includes eBooks, APIs, Semantic technologies, personalization/recommendation, and social media. At lunchtime I went out for a coffee on University Ave., where as usual at the tables around me were students mostly with laptops, some also or instead with novels, essays, course packs, law & medical texts. Also, the usual tech / startup types peering intently into laptops or clustered around a sketch, diagram, or marketing document. All kinds of “content,” format, and device, old and new, all mixed up. While having coffee I noticed a number of people in my tweetstream were using a hashtag “#dsevent”, so I followed the tag and looked up what it was, and found it was an event going on in London right then, called “Inventing the Future”, organized by a company I follow called Digital Science. DS is a spinoff of Nature Publishing Group that develops and invests in new technologies for researchers. I follow many companies and projects in that area, often with a thought for how STM (Scientific Technical Medical) research developments may also apply or be informed by what’s going on in Digital Humanities. Both of these areas, and others, in the scholarly world, are in an amazing state of creative ferment, but I find that STM and DH worlds seem to often operate quite separately, sometimes unaware of quite parallel developments in the other area. Since HighWire serves publishers and journals that span all disciplines (1600+ journals, + ebooks and other content), I have an opportunity to be involved in both STM and DH publishing and conversations. Important customers such as Duke University Press and Oxford University Press have large presences in humanities and/or social sciences, and they are very exploratory regarding new publishing tools and models. I see DH as an area where creative reinvention is occuring partly out of dire necessity, i.e. a perceived state of breakdown in the scholarly monograph sector and (relatedly) the traditional tenure track. For me, areas with a sense of crisis and disruption are areas with possibly the most interesting problems to tackle and greatest opportunities. After coffee, I headed over to campus to pick up a book I’d requested from the School of Business Library, after getting an email alert that it was available. As I walked back from the library, I nursed the slight remaining charge on my phone, and cradled the book under my jacket against the light rain, reflecting on how each media/device was showing its own vulnerability, and coexisting in my life, a mixed and serendipitous life and surely a unique time. 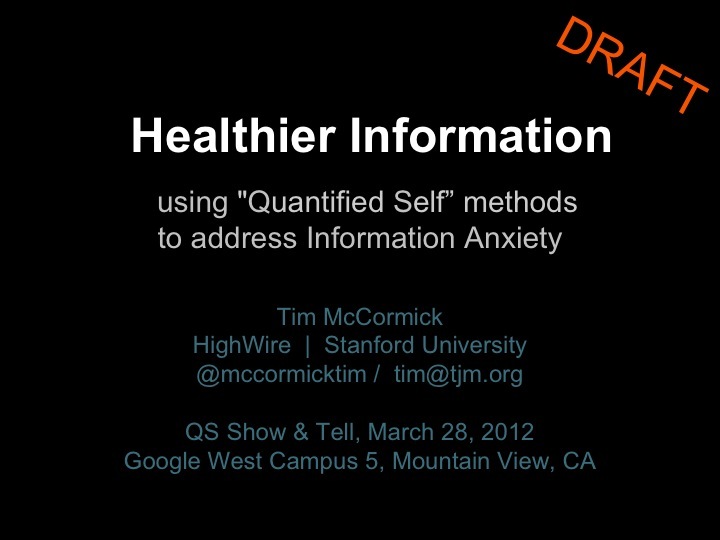 I’m going to give an “ignite+” talk (7.5 min presentation + 7.5 min Q&A) at the March 28 meeting of the Silicon Valley “Quantified Self” group, 120 people, at Google HQ West Campus in Mountain View. 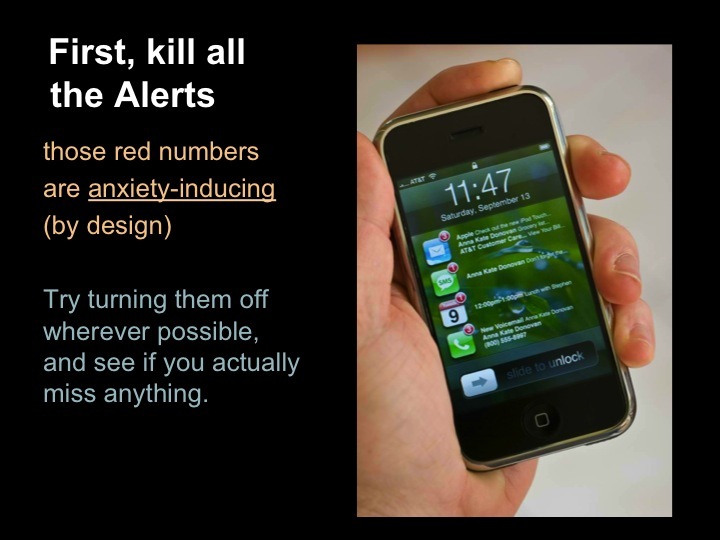 Below are a few slide images from draft version, final version here. Please send me any feedback or ideas. • Semantic enrichment using leading third-party technologies such as Temis, Access Innovation. • Semantic discovery via partnership with leading search engines. 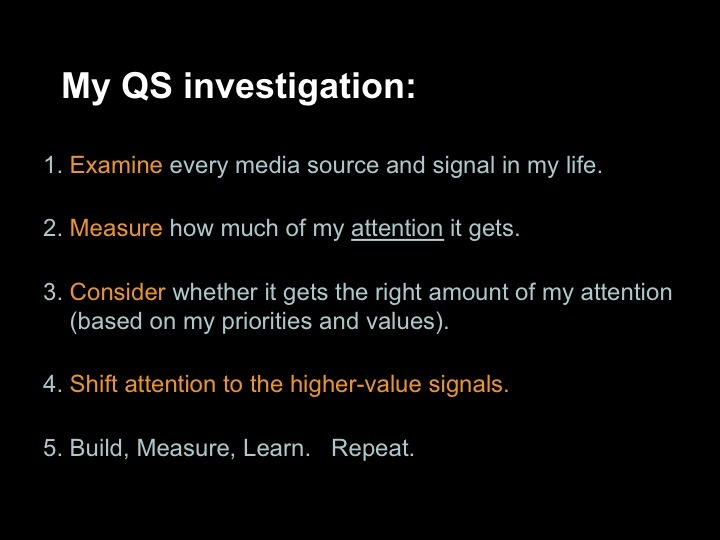 • User-facing metrics for “quantified self” learning: e.g., most value per second of your attention. Tim brings 15 years of experience in design, strategy, librarianship, and product development to bear on semantic product innovation. As product manager for Emerging Content at Stanford University’s HighWire Press, Tim leads initiatives in semantic, linked open data, ebooks, and APIs, plus roving R&D, ( “R&D by walking around”). Previously, Tim led API strategy for OCLC Online Computer Library Center, did human-facing at Openly Informatics until OCLC acquisition, and did design strategy for Mediabistro and Juno Online Services. Tim received a BA from Yale University, and is completing a MSLIS from Long Island University. Recently relocated after 15 years in New York, he lives in Palo Alto, CA in a converted garage, with cat Tai-yu and a 2010 Jetta.